​​﻿We specialize in property management, that's all we do. 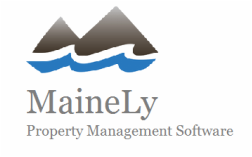 MaineLy Property Management manages over 500+ units in the residential and commercial real estate area in Greater Portland. KNOWLEDGE is half the battle, and MOTIVATION is the other!!! -We have great PEOPLE that work for the company. -We have a great PROCESS and it starts with quickbooks and a excellent property management software. Profit and loss and balance sheets will show you to the penny how much money you make or lose. Most tenants pay automatically online thru their checking account and they also have the capability to pay with credit card. -We produce the best PRODUCTS. The finish is of the highest quality for the money invested. Leases are written by the most experienced specialized attorneys with tenant/landlord laws. Detailed monthly invoice statement including complete breakdown of expenses, maintenance, income etc. Have MaineLy manage your short-term rental and vacation units! We have insights into short-term pricing and tourism markets to maximize your profits! We can even turn your traditional apartments into short term units to multiply the profits you already have from monthly tenants! We use multiple platforms such as AirBnb and HomeAway to reach the broadest range of clients for these rental units! Potential clients/owners please call Tim 207-956-0013 or email TimQLy@gmail.com for any Property Management Services!